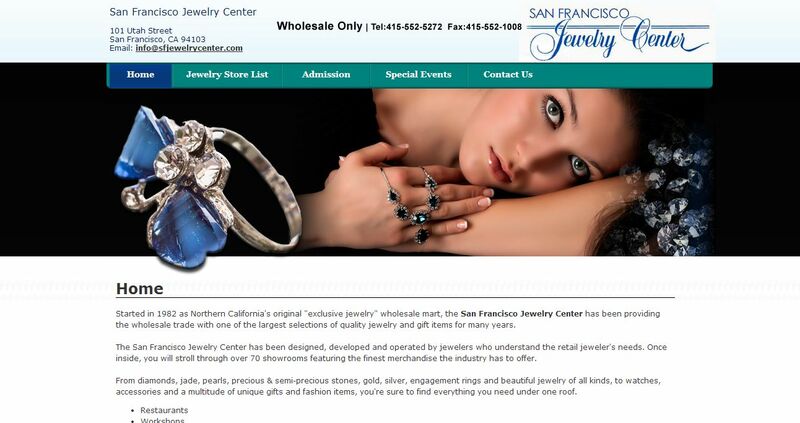 San Francisco Jewelry Center address, phone, website, and more. San Francisco Jewelry Center has been providing the wholesale trade with one of the largest selections of quality jewelry and gift items for many years. The San Francisco Jewelry Center has been designed, developed and operated by jewelers who understand the retail jeweler’s needs. Once inside, you will stroll through over 70 showrooms featuring the finest merchandise the industry has to offer. From diamonds, jade, pearls, precious & semi-precious stones, gold, silver, engagement rings and beautiful jewelry of all kinds, to watches, accessories and a multitude of unique gifts and fashion items, you’re sure to find everything you need under one roof.